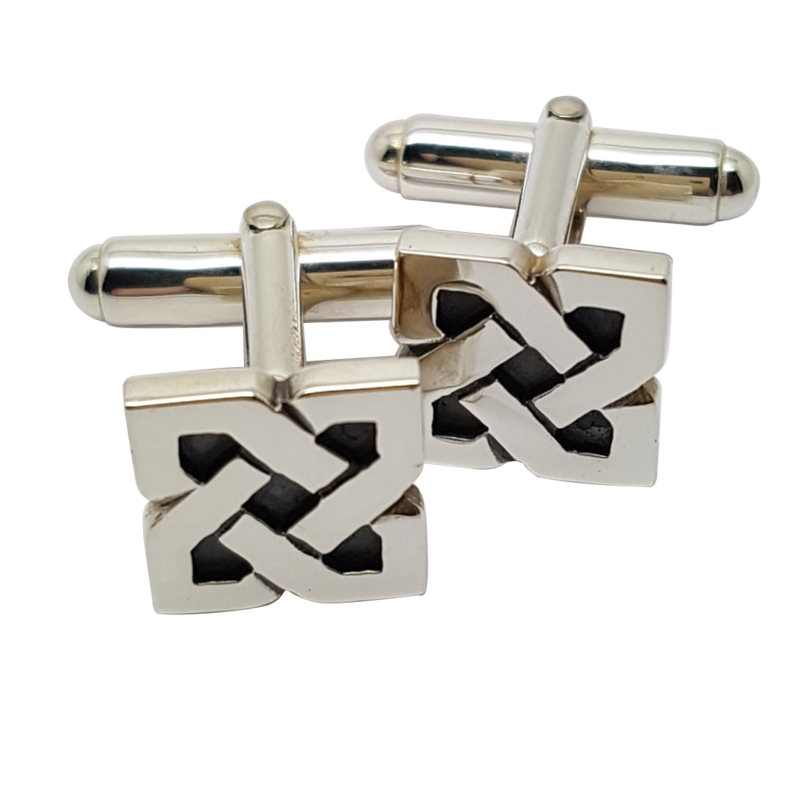 Our ‘Cridhe’ (meaning ‘heart’ in Gaelic) cufflinks are made exclusively by Love from Skye on the Isle of Skye. 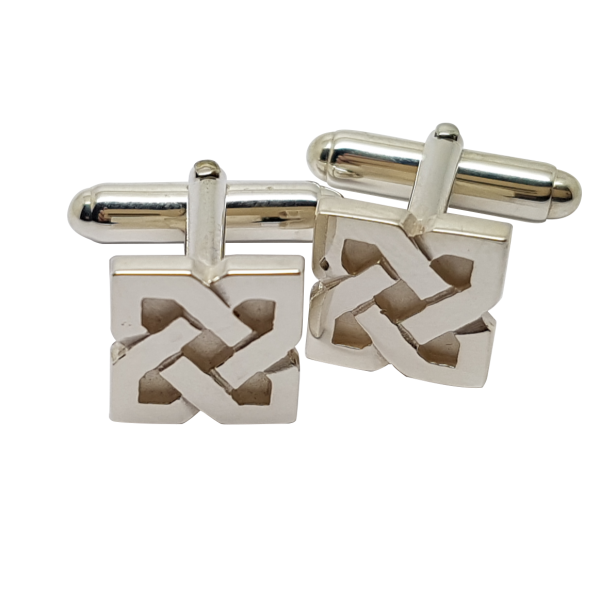 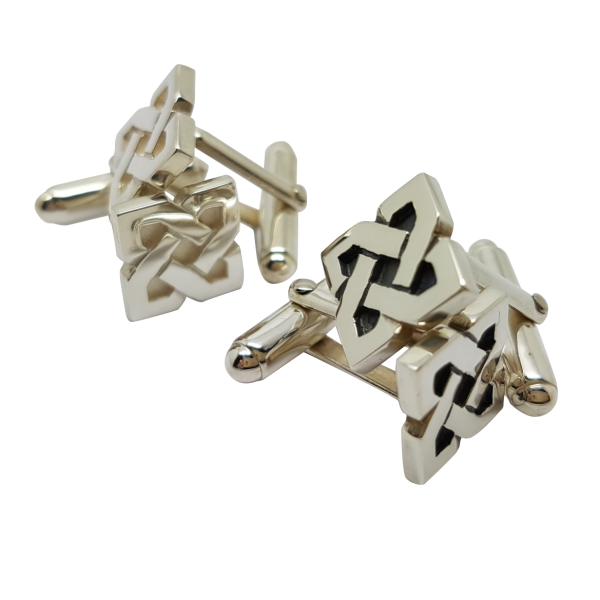 This closed knot-work Celtic design is made from Sterling silver and measures 11mm square. Our cufflinks are fitted with sturdy torpedo fittings.